Read that title again. It’s The SUCKLING, not The Sucking, though for the most part either one could be a potential description of the film. This 1990 Troma-esque movie from writer/director Francis Teri tells a story of an aborted fetus that, after somehow maneuvering its way down a brothel’s toilet pipes, grows into a monstrous creature thanks to some toxic waste dripping into the sewers (hence its alternative title, Sewer Baby). 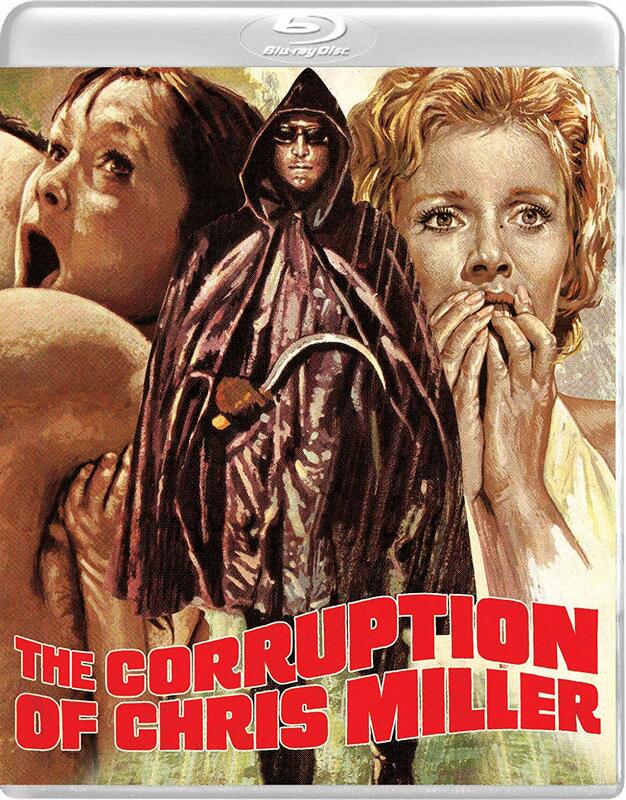 Yes, the film is as tactless as its description sounds; its offensiveness seems like an attempt at thematically exploring the treacherous territory of abortions, and yet Teri states in his interview on this Vinegar Syndrome Blu-ray that he really didn’t have any stance on abortion in mind when creating The Suckling. What results is a partially enjoyable and somewhat laborious single-location slasher film with limited production values, extremely poor acting, and… Michael Gingold as the monster?! The first third of The Suckling is extremely interesting despite its obvious shortcomings – mostly the acting. The setup involving a girl being forced into an abortion by her boyfriend and a strange brothel/abortion clinic performing this unwanted abortion against the girl’s wishes is truly shocking, and then Teri follows that up with a fairly graphic depiction of the fetus flushed down the toilet. It’s strange, disturbing, and still offensive to contemporary viewers; and the film’s “themes” are made even more complex as the unwanted fetus becomes a monster from society’s random toxic waste. But the ideologies end here as The Suckling explores a bunch of people in a brothel being killed by the monstrous abortion in a variety of ways, some of them funny, others simply cliched. Unfortunately, the second half of the film is far from entertaining in even a bad way; Teri’s insistence on keeping the film in one location means constant bickering from the characters and a punk (Frank Rivera) who turns on everybody despite a larger threat looming around them. The Suckling sinks into boring arguments, even worse emotional acting, and poor special effects. Unlike some of Troma’s better films or Frank Henenlotter’s contributions, The Suckling rarely has anything to say, and its offering is mostly just bad cinema. Some might find the extreme cheese charming; but by all other accounts, this one’s a dud. Grab your coat hangers prom queens, as this is one flick worth aborting! Vinegar Syndrome has given the film a new Blu-ray release and surprisingly it is not the first time this horror movie has been available in HD. 88 Films previously released their version in 2016, and Vinegar Syndrome has now seen fit to give this a new 2k scan from the original 16mm camera negative. Obviously the film is a bit rough due to its 16mm production and its low budget, but Vinegar Syndrome has done a good job cleaning this up, providing a consistent color palette and heavier film grain. Detail is a bit low through no fault of Vinegar Syndrome’s, but it appears from Caps-a-holic screens of the 88 Films Blu-ray that Vinegar Syndrome’s is a step-up from that release with better definition. Audio is presented with a DTS-HD Master Audio 2.0 track, and it sounds fine – there are source issues due to the production, including muffled dialogue, but Vinegar Syndrome has done the best they could with the elements. English subtitles are also included though there are a few errors. Extra features include a new interview with Michael Gingold, who discusses working on the film as the Suckling monster (yes, that’s him in the suit); he seems extremely amiable about the whole situation. Writer/director Francis Teri is also interviewed and discusses some of the work on the project and its ideas, broken up into on-screen questions; as mentioned, this truly was not meant to be a critique of abortion, if that’s to be believed. Finally, a still gallery is also included; no theatrical trailer here. Be sure to check out our gallery of screenshots from the Blu-ray on Cultsploitation.